Many of our talented instructors are available for private sessions. Contact the instructor for more information. Allison began practicing yoga in 2006. 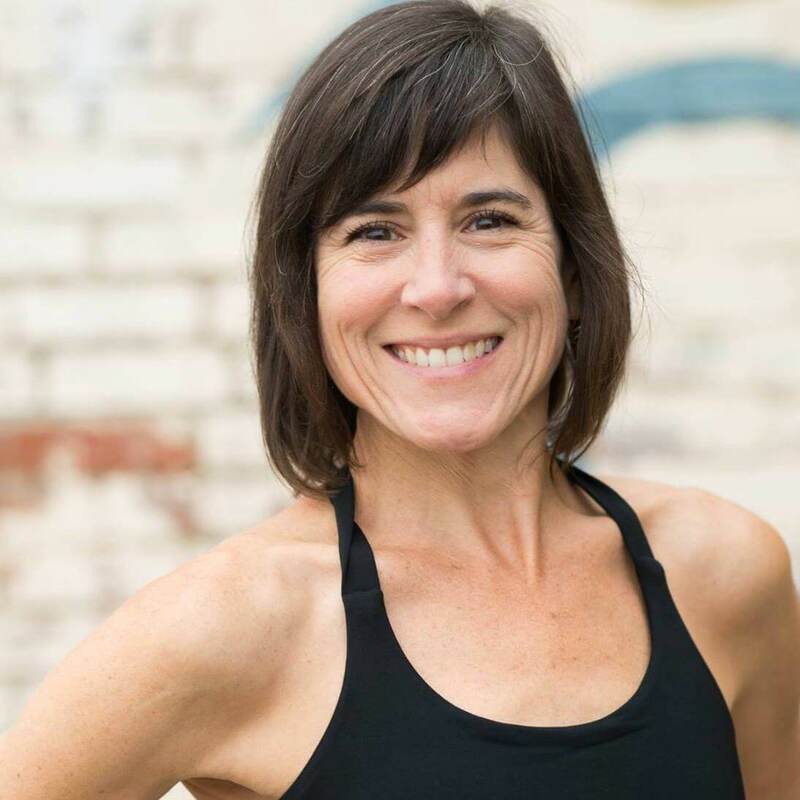 She became a serious practitioner in 2012 after graduating from Maryville College and completed a 200-hour teacher training at Glowing Body in 2013 with Cindy Dollar. She is always ready to share her limitless enthusiasm about yoga and loves learning from each and every student. Allison blends Ashtanga vinyasa yoga with a focus on healthy alignment and encourages students to embrace the journey that is each asana. She feels that, as in life, the poses that challenge us the most are often our greatest teachers. Allison has studied Ashtanga yoga since 2013 and has studied with David Swenson, Jardana Peacock, David Garrigues, Greg Nardi, Kino MacGregor, and Taylor Hunt. She is also currently working on her 300-hour training in Asheville, NC. 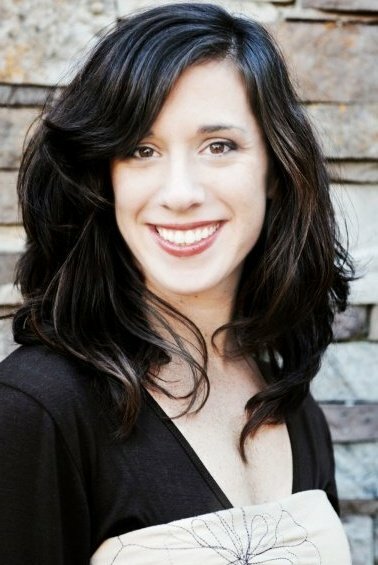 Amanda is a licensed occupational therapist at UT Medical Center, and a certified yoga teacher. She began practicing yoga initially in 2006, but did not have a dedicated practice. During her graduate studies in occupational therapy, she began to learn more of the benefits of yoga for everybody, despite physical or cognitive challenges, and how yoga was being used in the therapy world. Learning about the incredible health benefits and accessibility of yoga increased and rejuvenated her practice. After moving back to Knoxville for clinical rotations in 2012, she began to develop her personal practice. In 2015, Amanda completed her 200 hour teacher training at Glowing Body with the knowledgable & fantastic Cindy Dollar. 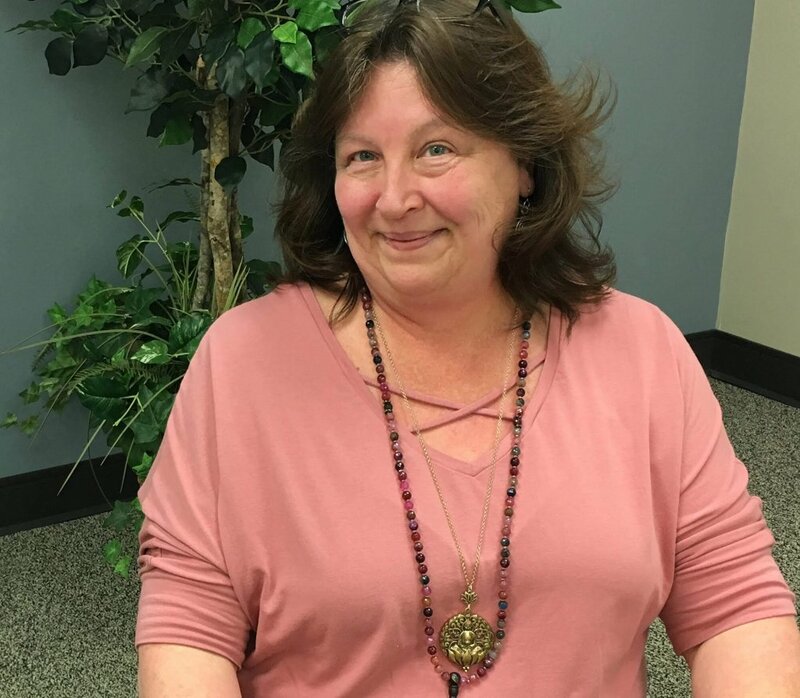 Since completing teacher training, she has enjoyed teaching in a manner that meets people where they are with modifications, adaptations, and mindfulness to alignment and breath. Amanda believes yoga is for everyone and should be made accessible to everyone. As a teacher, she strives to combine her knowledge of anatomy and adaptability as an OT to the asanas. Amanda enjoys learning from everyone she encounters, both teachers and students, in order to deepen her yoga practice. Amberly grew up a dancer, using various forms as an outlet and a means of connecting with her body. She continued dancing through college, even teaching a few children’s classes along the way, and adding a hula hoop to the mix in her early 20s. Through her love of dance and hooping, she was introduced to yoga right when she needed it most. Yoga brought something new to the table and provided a sense balance in every aspect of her life. While she loves the physical challenge that yoga provides, the ‘secondary’ benefits of the physical practice are what keep her coming back. After several years of only asana, Amberly began to deepen her practice by exploring the other limbs of yoga and attending yoga teacher training at Yoga Landing in Chattanooga, TN. Her love for the way yoga had changed her life drove her to become a teacher and share its benefits with others. 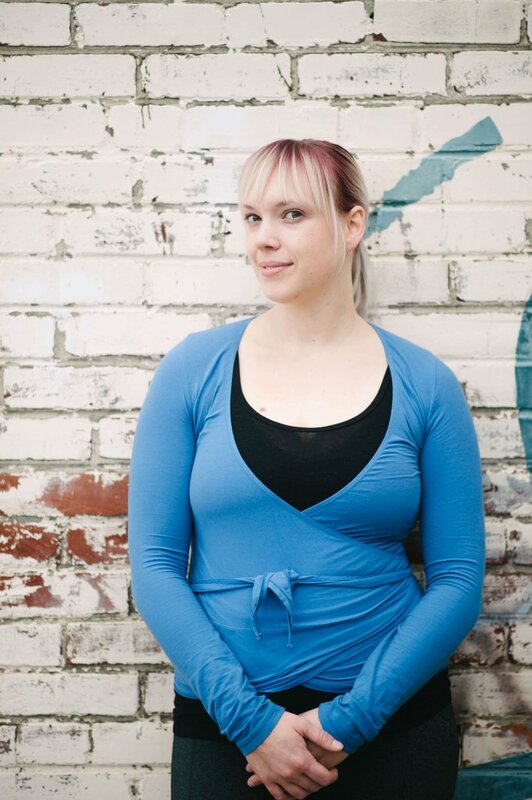 Amberly teaches and practices many forms of yoga including: Ashtanga, Vinyasa, Yinyasa, Restorative, and Yin. Private lessons and small group private lessons are available. Connect with Amberly. 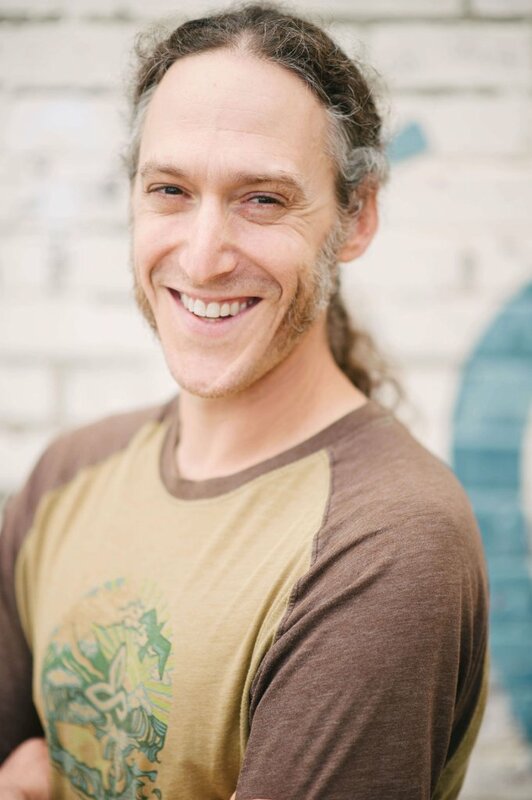 Ben Willis-Becker began practicing yoga in 1998 as a way to sustain his body for a career in the restaurant industry. Yoga started as a physical practice for him. It wasn’t until he started incorporating meditation and pranayama into his practice that it grew into a spiritual practice. 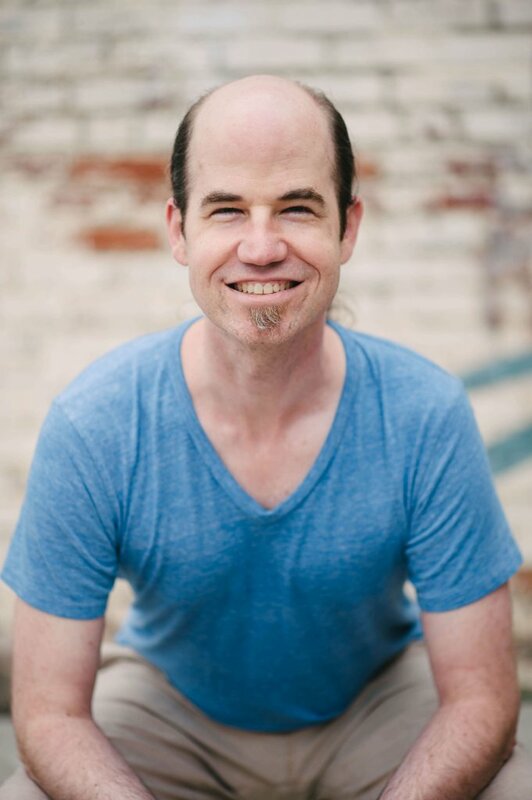 Ben realized a long time goal of going deeper into his own practice when he completed the Glowing Body Teacher Training with Cindy Dollar in 2017. Cindy and Tammy Kaousias, former owner of Glowing Body, helped Ben embrace the full potential for yoga to open his heart through a consistent meditation and pranayama practice. His classes focus on opening one’s heart through a balance of asana, pranayama, and meditation. Carol Ann, an east Tennessee native, began practicing yoga in 2001 while living in West Tennessee. After spending a few years following what limited yoga instructors were available in the area from gym to gym, she decided to pursue yoga teacher training and begin to train herself. From 2005-2009, she completed YogaFit 200 hour teacher training. 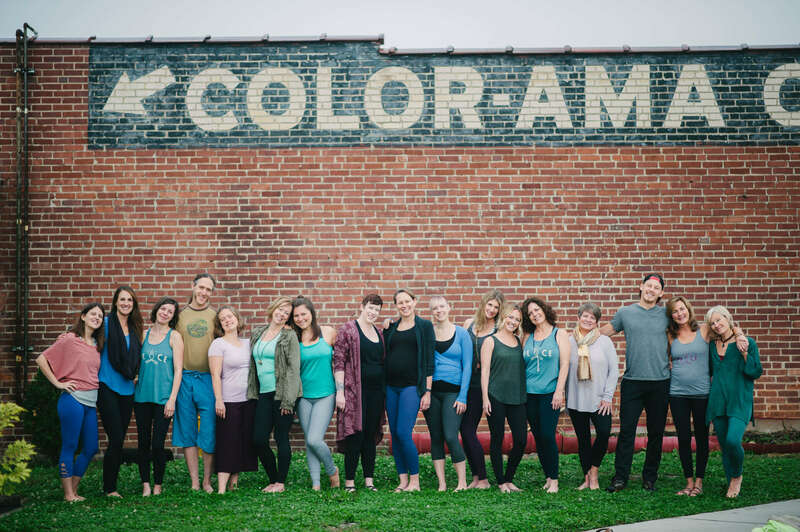 Returning to Knoxville in 2009, Carol Ann found a yoga home and community at Glowing Body and completed an additional 200 hour teacher program in 2013 with Cindy Dollar. With a constant desire for learning, Carol Ann has completed training with Richard Rosen, Gabriel Halpern, Alison West, and Christina Sell. 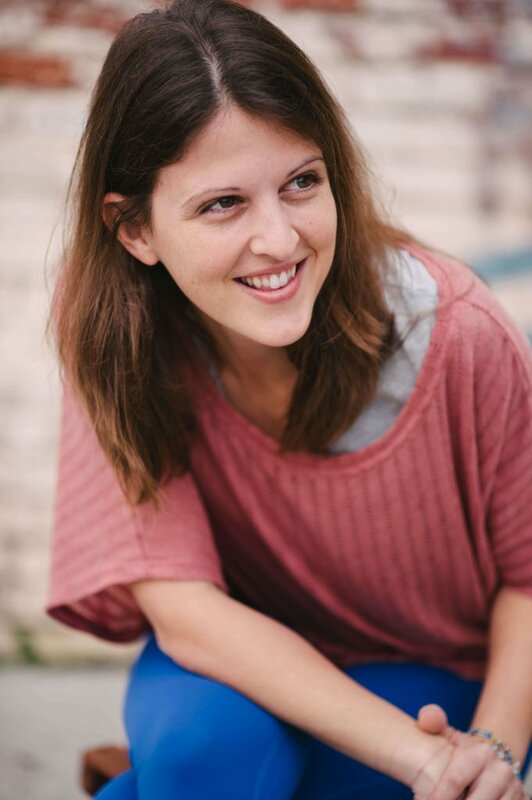 She is currently completing “Rockstar Teacher Training” online course with Sadie Nardini and has plans to begin a 1000 hour therapeutic teacher training with YogaFit. Carol Ann has been teaching vinyasa since 2008, core vinyasa since 2013, and has recently expanded her teaching to include restorative yoga. Her influences are her initial teachers without whom she would have never experienced the mind, body, spirit connection and the immense benefits from yoga practice: Ave, Andrea, and Melissa; her mentors/teachers at Glowing Body: Kim, Jen Schappel, Philip, Jennifer Beyt Coffin, Sara Matayoshi, Sarah Fields, Judson, Amber, Allison, Stacy, Mariko, and Tammy; and BKS Iyengar, Cindy Dollar, Beth Shaw, Sadie Nardini, Christina Sell, Kino MacGregor, Richard Rosen, Gabriel Halpern, Alison West, and Judith Lasseter. When she’s not practicing, teaching, or learning more about yoga, Carol Ann enjoys hiking, dog training and spending time with her dog Rosie, gardening, and her work with public health and student teaching. Cheryl took her first yoga class in college while completing her Bachelor’s degree in theater at SUNY Stony Brook. She was looking for some stress relief and when she left her first class feeling both calm and alert, with a fresh perspective, she knew yoga would be a part of her life from then on. After years of on again off again practice and a move to the Midwest, Cheryl was working in a hectic retail environment. This led her to a more consistent yoga practice. She was inspired to become a teacher after the realization that her yoga practice had helped her create balance, strength and peace in her life. She wanted to share this with others so she decided to become an RYT. After completing her 200 hr training in January of 2014, she was grateful to have had the opportunity to teach college students and faculty at the University of Missouri Recreation Complex in Columbia, Mo. While Cheryl truly loves and enjoys being a teacher, she also loves and enjoys being a student. She has gained insight and inspired from many teachers including Leslie Kaminoff, Jennifer Beyt Coffin, Philip Clift, Meghan Currie and Kathryn Budig. Cheryl’s classes include a focus on breath and body awareness, while conveying a sense of balance, peace and strength. Creating a sense of awareness to encourage positive change is one of her goals in teaching. 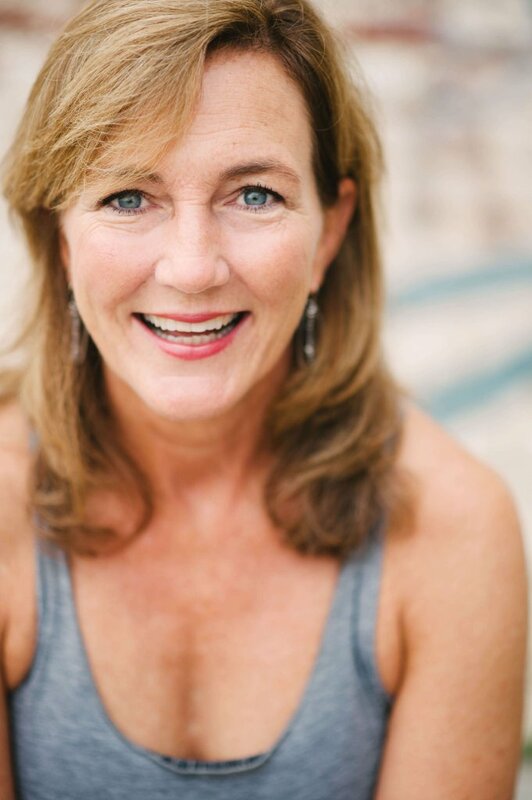 Having recently moved to Knoxville, Cheryl looks forward to teaching yoga in this beautiful and vibrant city! 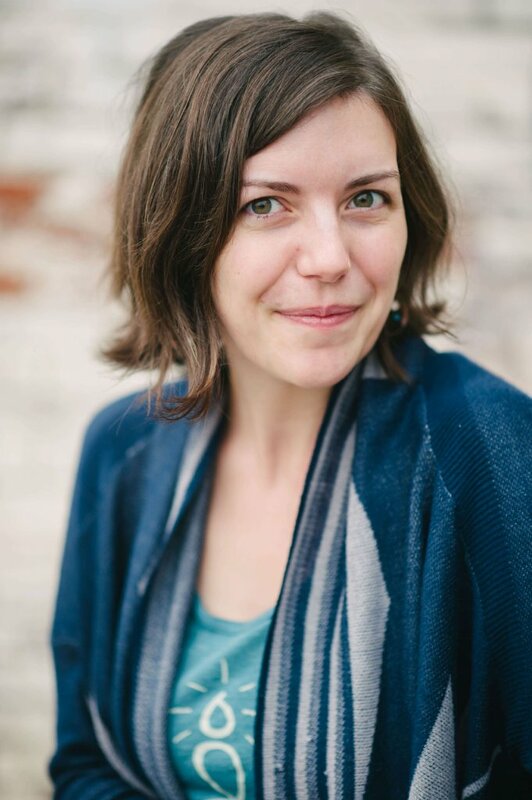 Claire is a native Knoxvillian who fell in love with the mindfulness of yoga during her 20+ years living in Memphis. A mother of four, her asana practice waxed and waned with the responsibilities of home and work, until she returned to Knoxville in 2008, and started practicing again in earnest to deepen her personal practice. “Yoga is not a goal, it’s a practice” said one of her teachers. But, she needed a goal to deepen her practice, so in 2015 she completed yoga teacher training with Cindy Dollar through The Glowing Body. Since then she has discovered a genuine love of teaching, of sharing what she has learned while continuing to learn through her students, other teachers and classes – through the practice. She considers her classes to be mindful, balanced, beginner flows. Colby started his yoga practice after a serious car crash which broke his neck and limited his mobility. He fell in love with yoga during his recovery, and decided to pursue a career in yoga, physical therapy, and self-healing. 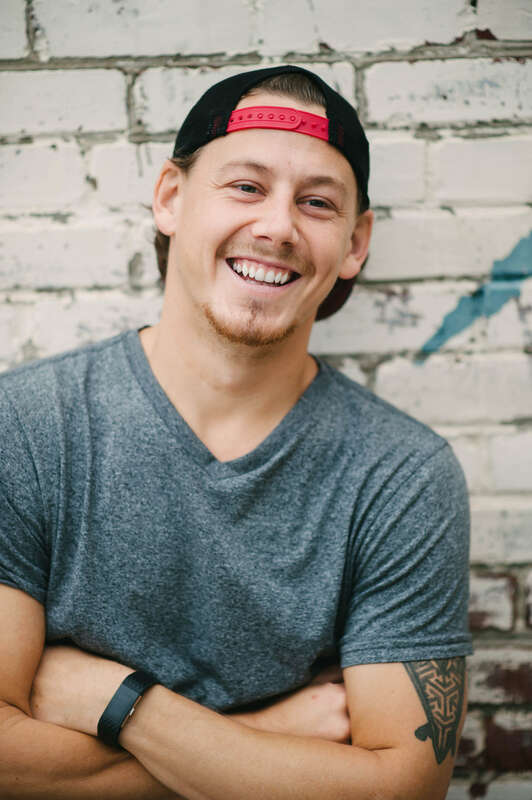 Colby completed yoga teacher training while attending the University of Tennessee for a Bachelor’s degree in Kinesiology. Colby has specialized skills for working with athletes on their path to injury recovery, including a myriad of adaptive approaches and modifications, so individuals with injury may develop safe and comfortable ways to practice. He loves empowering individuals to heal themselves, and encourages questions and feedback during class. Colby loves to learn about yoga and the body, and will continue to pursue continuing education that enables him to better serve his students. Emily began regularly practicing yoga in 2012 in Omaha, Nebraska. A few months later the owner of the studio approached her and said, “Have you thought about entering our teacher training program? 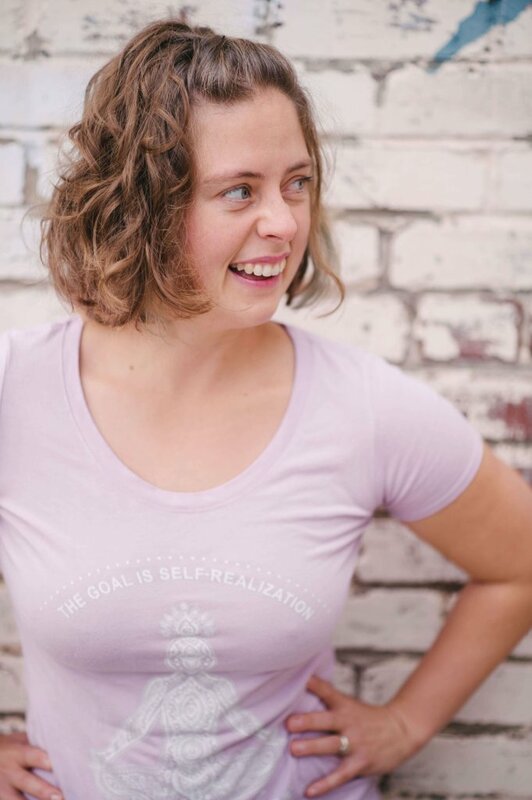 You have a lovely practice and have already begun evangelizing yoga.” Without that prompt, Emily would have never considered teaching yoga, and the idea of “evangelizing yoga” struck her. Emily loves Jesus and desires to evangelize His love and grace. So in 2016 she entered Glowing Body’s Teacher Training program with that intent. To share love, grace, and gratitude for our intricately made bodies and souls. She graduated in April 2017 and is grateful that The Glowing Body allows a space for every background of practitioner and teacher. Jennifer has a 20-year hatha yoga practice and draws her inspiration from a blend of the essential aspects of Ashtanga, Vinyasa, Forrest, Iyengar, and Yin Yoga practices. Since teaching her first class 13 years ago, Jennifer has strived to make her classes welcoming, challenging and safe. It is Jennifer’s goal as a teacher to encourage you to find the therapeutic benefits of your practice, be it vigorous or more passive, so that it may be a life long endeavor. Her teachers include Sadie Nardini, Sean Johnson, Philip Clift, Doug Swenson, David Swenson, Stephanie Keach, Heather Tiddens and her son, Max. She is certified as a Core Strength Vinyasa Yoga teacher by Sadie Nardini. Video of Jennifer’s Yinyasa class is available here online at yogavibes.com. Follow her on Facebook or Instagram @coreexplore. Jen’s creativity and strong intuition set her apart. On her journey of embodiment, practicing yoga and receiving insightful bodywork have made all the difference and have led her toward greater awareness, skillfulness, and compassion. She enjoys sharing these tools with others and feels honored to be a teacher and guide. Jen has been doing yoga since 2004 and teaching since 2010. She completed her 200-hr teacher training with Kelly Golden at The Glowing Body in 2011. Since then, she has accumulated over 1000 hours of teaching experience and has gleaned inspiration from a variety of teachers including Sianna Sherman, Richard Rosen, and Cindy Dollar. A student of life, Jen counts her relationships (namely those with her husband, daughter and son) as her toughest yoga teachers. 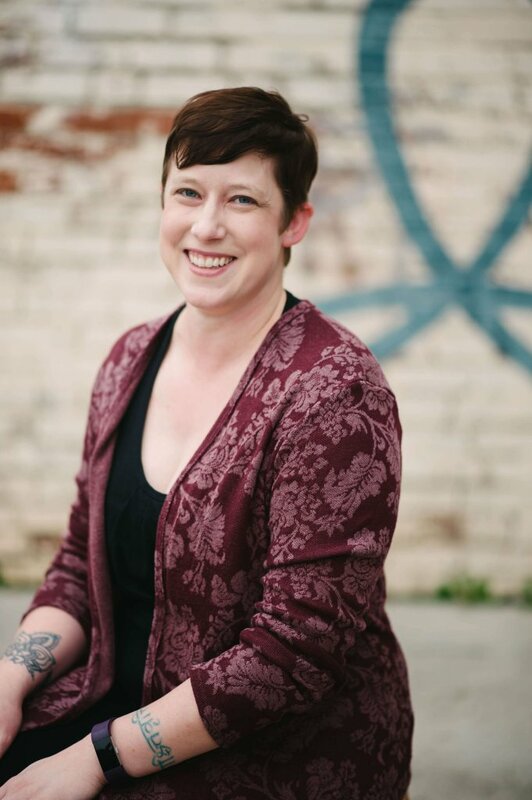 Jen graduated from the Tennessee School of Therapeutic Massage in 2012 and completed her Reflexology training later that year. 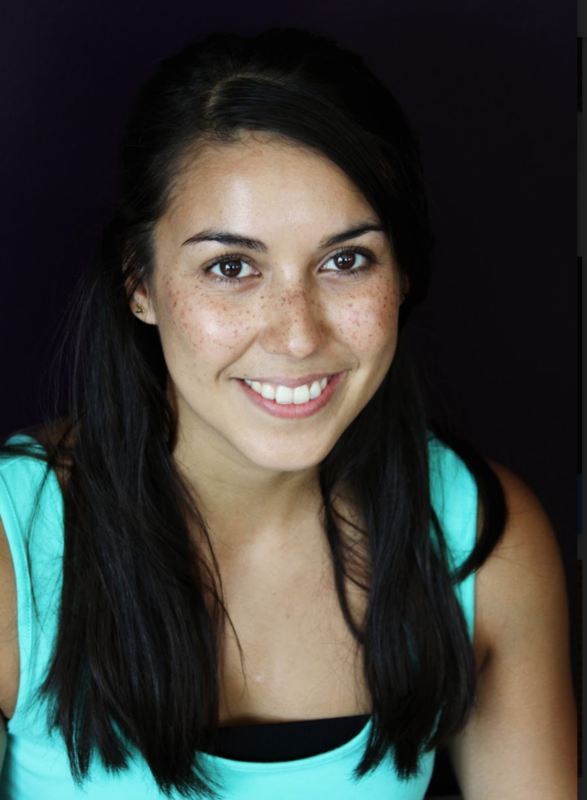 She has studied myofascial release, ashiatsu, Thai massage, and Maori healing since her graduation. Jen is also a Reiki Master/Teacher. She integrates all these techniques, along with her experience as a yogi, in her bodywork practice at Glowing Body. When she’s not at the yoga studio or playing with her toddler, Jen enjoys 30 second dance parties, doodling, and cooking delicious vegetarian food. Like her on Facebook. Visit her website. Jessica began her journey with yoga in 2005. As a life-long competitive gymnast and athlete, she found that yoga met her need for a creative, mental, and physical challenge. After years of practice and recognizing all of the benefits of yoga on her whole person, she made the decision to deepen her study of all aspects of yoga and completed her 200 hour Yoga Teacher Certification Training in 2016. In October 2016 she attended a weekend immersion in teaching children’s yoga. Jessica is a Master’s level clinician who specializes in trauma, attachment, and development and works with children and families in therapeutic foster care. Teaching yoga has allowed her to expand her passion of teaching, helping, and understanding others in a way that also provides a much needed outlet for self-care. It allows her to slow down, focus on others, and continue to learn and grow through sharing her love for all things yoga. Her classes focus on the importance of mindfulness, breath, and focus to find hidden strength, balance, and awareness of the potential of the whole self. Interested in partnering with Glowing Body for your cause? Contact Jessica! Jessica, a Knoxville native, has been practicing yoga on and off since high school. She suffered a shoulder injury in 2002 and after surgery and physical therapy was not finding relief. After returning to Knoxville for graduate school she became a serious practitioner in 2012 in order to heal her body and recuperate from her injury. Wanting to advance her yoga practice Jessica completed The Glowing Body Teacher Training in 2016 under Cindy Dollar. 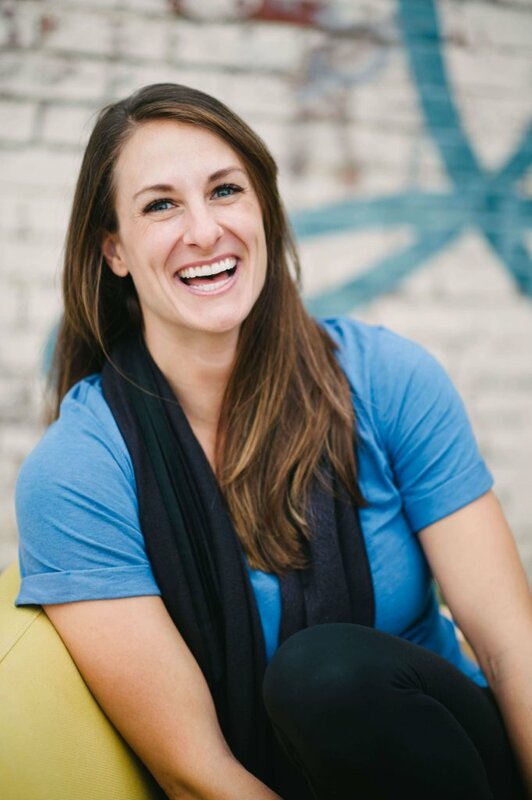 Jessica’s teaching style is geared toward helping relive pain in the body either from athletic or repetitive activities, strengthening the body, building lean muscle, and focusing the mind. 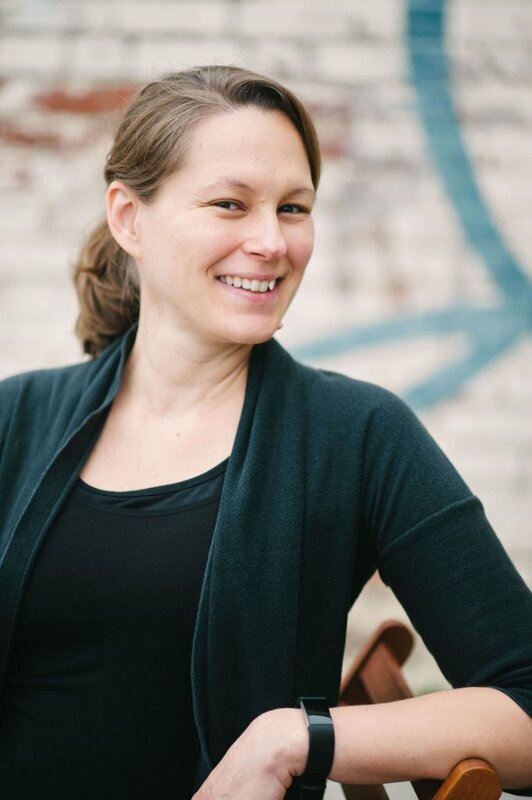 In addition to teaching yoga, Jessica also holds a PhD in Anthropology and is a professor at Roane State Community College. In addition to her group classes Jessica is happy to offer private sessions for students who would like to add a yoga practice geared toward their athletic activities. Jill was born in Knoxville TN. Her love of yoga first began in 2001 when she took some classes in college and read Autobiography of a Yogi by Paramahamsa Yogananda. After graduating from New York University in 2004, with a BFA in dance performance, she started taking classes at Dharma Yoga Center in NYC, where yoga became not just something that she enjoys, but a life long path. Jill graduated from Dharma Yoga Center’s Life of a Yogi 200 hour teacher-training in 2005, the 500 hour training in 2010, and the 800 hr training in 2017. In NYC she taught yoga, senior yoga and other fitness classes at NYU, to private clients, and was performing in a variety of modern dance companies. Presently, Jill teaches yoga at Strang Senior Center, the Glowing Body, and to private clients. She also creates and performs modern dances with Go! Contemporary Dance Works and and other groups around Knoxville. 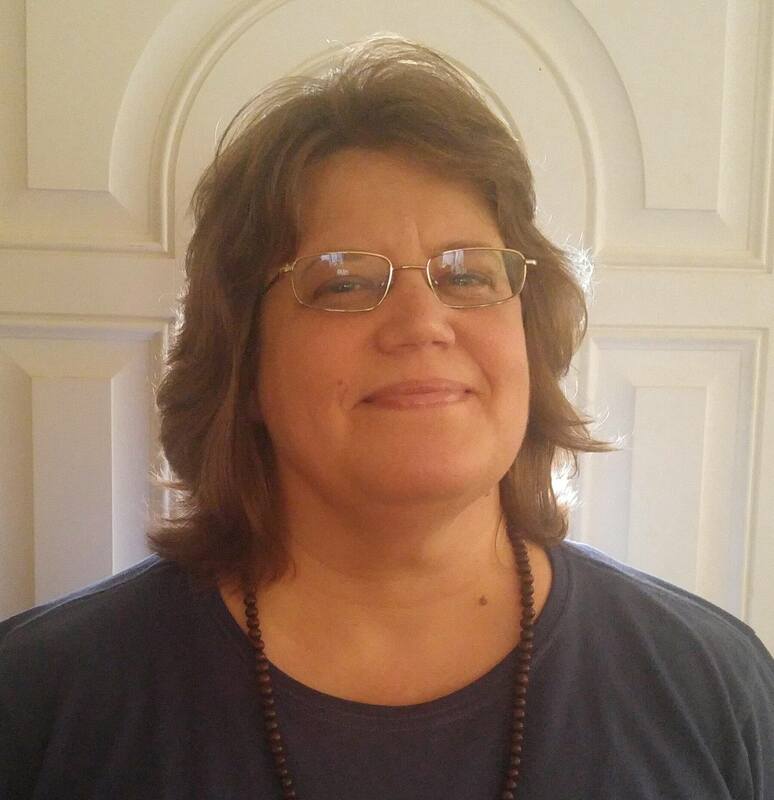 Jill feels grateful to Dharma Mittra for transmitting the knowledge of Hatha Raja Yoga, and to the Glowing Body for the opportunity to pass those teachings on. Judson began his yoga practice in 1998 under a group of Integral yogis in Georgia at the Athens Yoga Center during a search for a spiritual community. After waiting far too long, he did his teacher training under Stephanie Keach at the Asheville Yoga Center in 2007 and has loved every minute of teaching since then. Judson’s teaching follows a few core tenets. It’s the same advice he gives every new student that comes in: (1) listen to your body — if it hurts, we’ll change it, (2) breathe when you need to breathe and take breaks when you need to take breaks, and (3) ask questions when you have them. As your practice grows, your understanding of what it is to do those things changes — to listen, to breathe, and to ask questions. Judson also encourages his students to remember that each of us has our own individual practice because we have our own individual needs and all our bodies are different. Also, we are practicing as a community, so we celebrate epiphanies and changes together. You can read more at his website or on Facebook. Katey began practicing yoga in 2012 in her hometown of Naples, Florida. She quickly learned of the positive physical and mental benefits to having a dedicated practice, and knew that she wanted to share these benefits with others. This desire led her to the Glowing Body Teacher Training program in 2015, during which she learned and grew under the brilliant Cindy Dollar. Using the combination of breath and physical movements found in a Vinyasa practice, coupled with alignment principles taught in the Iyengar system, Katey’s classes are designed to be a strong and fluid moving meditation, bringing peace to the body and mind. 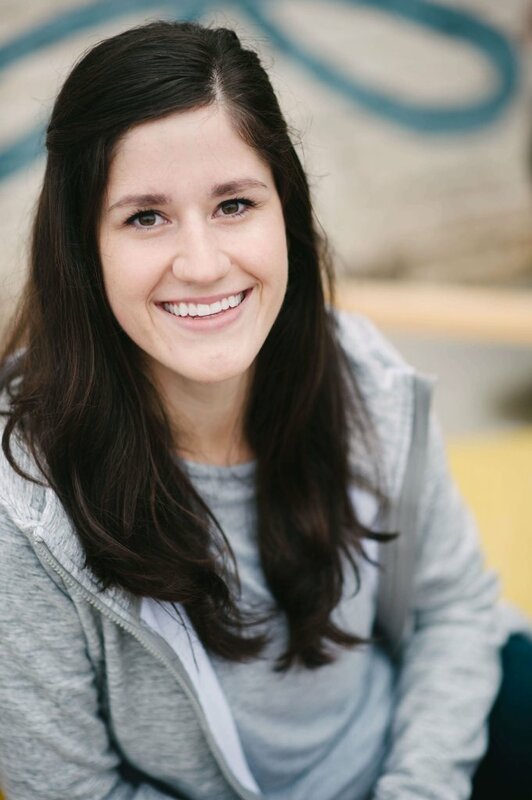 Katey loves the study of yoga, and is constantly learning new ways to teach and practice. Kim constantly refines her teaching focus through study and practice of Yoga. Students can expect to reap the rewards of her study as she offers evolving insights from what she experiences in her own practice. Each week students look forward to detailed instruction and themes inspired by the impact of Yoga on daily life. Group classes are moderately rigorous and include contemplation, breath, and simple meditative practice in addition to asana. Classes with Kim are creative, challenging, and carefully crafted. Kim has been teaching since 2007 and successfully completed two 200 hr Yoga Alliance teacher trainings, as well as hundreds of hours of continuing education and independent practice in the areas of anatomy/physiology, therapeutic application of yoga, philosophy, meditation, and more recently in Thai Yoga Massage with Kelly Scott, LMT, RTT here in Knoxville. She completed her training in massage therapy at Asheville School of Massage & Yoga in September, 2018. Kim has taught at Glowing Body since the studio opened in 2008, served as studio manager for several years, and bought the studio in 2017. Glowing Body has become an integral part of her development as a person and a professional, and she takes great pride in facilitating the continued success of the studio. In addition to teaching Yoga, Kim holds a Master’s of Science and works as a Speech Language Pathologist in area hospitals. Kristen fell in love with Yoga in 2009 when her employer’s HR Manager brought in Yoga for employees as a method of stress management. Kristen decided she wanted to deepen her own practice and learn how to teach, so she took the plunge into the rabbit hole and completed Glowing Body Teacher Training in 2014. Here, she learned that there was so much more to Yoga than just an asana practice. Great teachers such as Cindy Dollar, Gabriel Halpern and Richard Rosen helped to spark her thirst for more knowledge to help other curvy yogis like her. After graduating, she found curvy trailblazer, Anna Guest-Jelley. After completing Anna’s certification course, Kristen happened upon Dianne Bondy and Amber Karnes, and completed their Yoga for All certification program as well. Kristen believes she is proof that as teachers, we are forever students, looking for more knowledge to pass along. Kristen wishes to spread the knowledge and the enthusiasm that yoga is not just for the young , fit and flexible. She is proof that no one is too old, too inflexible or too disabled or too (fill in the blank) for yoga! Kristen can be found on Facebook, Instagram and Twitter as well as her webpage. Laura began practicing yoga in 2015 as a way to relieve stress and add a new form of physical activity to her routine. She was hooked immediately and it wasn’t long before she sensed that yoga was going to be a transformative power in her life. She’s been truly amazed by the many benefits that yoga has provided in her life including a more positive self-image, self-compassion, confidence, physical and emotional strength, and an openness to embrace life. 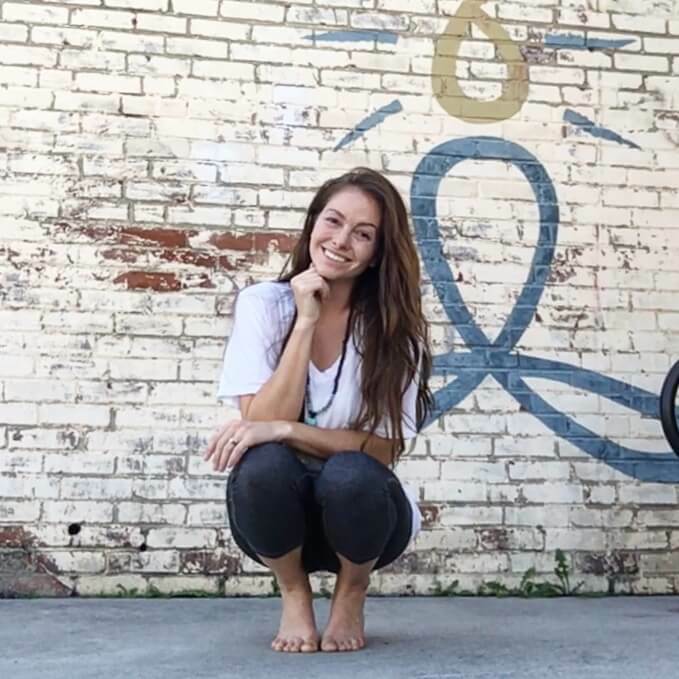 She felt a calling to share the gift of yoga with others and completed her 200-RYT training in 2018 with Kim Lomonaco at The Glowing Body in Knoxville, TN. She enjoys practicing and teaching power flow, Yin, and gentle yoga. Always seeking new ways to make yoga accessible to everyone, she is currently pursuing her Yoga For All certification with Dianne Bondy and Amber Karnes. Her belief is that the physical and mental benefits of yoga are attainable for anyone regardless of physical ability. She works to meet her students where they are and encourages self-acceptance and compassion. 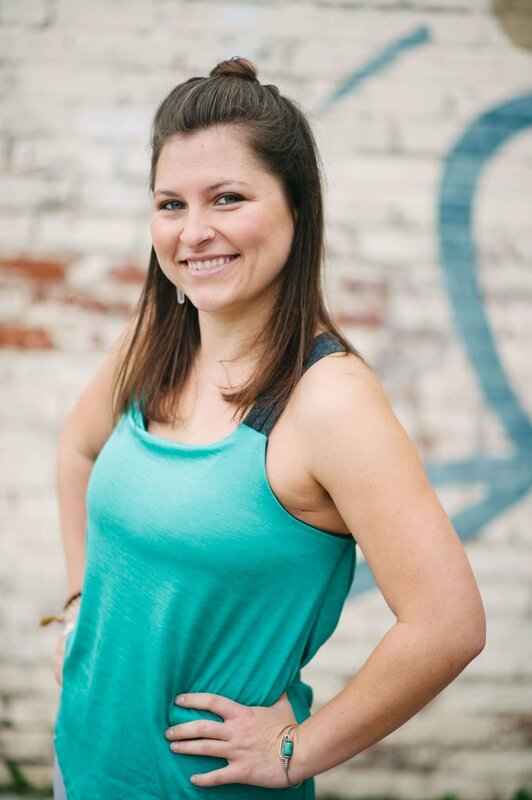 Since moving to Knoxville from Charleston SC where she graduated from the College of Charleston with a degree in Studio Art, Meghan has fallen deeply in love with the practices of Yoga and Mindfulness. Meghan’s practice began with her first pregnancy in 2003 and she began teaching in 2009. In 2014 Cindy Dollar’s 200 Hour Teacher Training at The Glowing Body began to truly alter her life. She is ready to share her new knowledge and experiences with Knoxville. Meghan is founder of The Blossoming Lotuses Children’s Art and Yoga Program. She has trained with and received certificates by both Kidding Around Yoga Training (Children’s Yoga) and Mindfulness through Mindful Schools. Suzanne found the true value of yoga while searching for relief from severe back pain. She discovered the healing and strengthening aspects of yoga to be clearly evident. The results were so amazing that she felt drawn to become a yoga instructor in order to share the beauty and healing power of the asanas to help others explore yoga’s curative benefits for themselves. The stars aligned and Suzanne found the teacher’s training course and her yoga home at the Glowing Body in 2015. After graduating from the program, Suzanne was thrilled to start teaching at the Glowing Body in 2016. Her teaching style focuses on deep breathing paired with flowing body movements to help anyone move more gracefully through BKS Iyengar’s principles of alignment. Her desire is to help students to better understand and develop their own proprioception as well as fulfill their personal yoga goals. Suzanne enjoys incorporating her musical background into her yoga practice by creating soundscapes that evoke desired feelings and moods in her yoga classes. She believes in the power of rhythm to move your body, sooth your soul, find your spiritual center and connect to your breath for a deeper yogic experience. 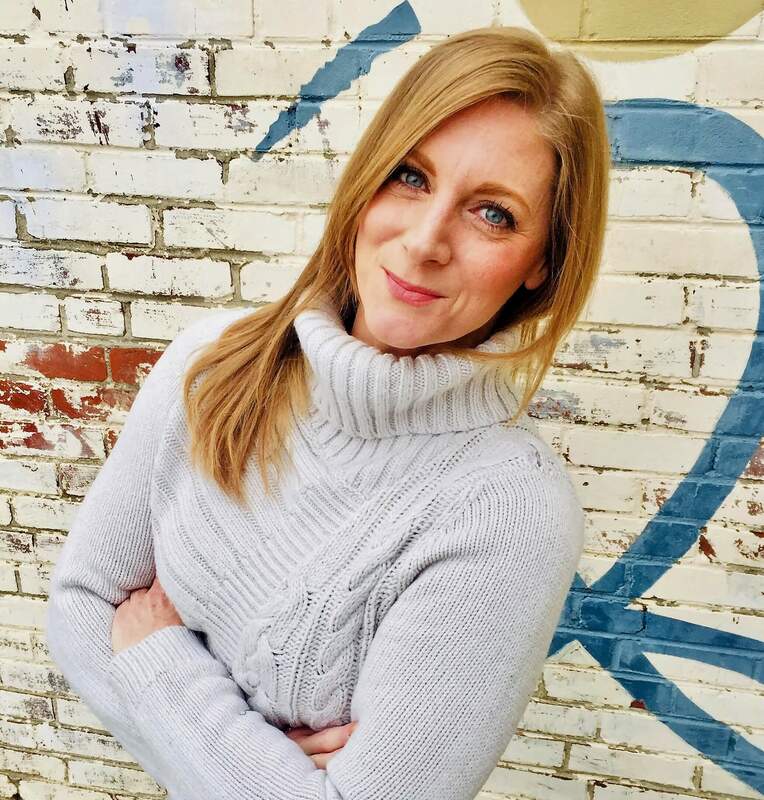 Suzanne has a background as a dancer, classical pianist, holds a BS in Communications, School of Broadcasting from University of Tennessee; she has worked in advertising, owned & operated Suzi’s Groovy Garden in Bearden and worked as a Realtor in Knoxville. She enjoys gardening, growing and cooking healthy food, loving her two black dogs and riding her motorcycle with her husband and friends as much as humanly possible. Veronica’s yoga journey began 3 years ago as a way to cope with and heal from head injuries and musculoskeletal trauma. Committing to a regular yoga practice has brought her great peace, deep awareness of her mind, body and spirit and an acceptance of and gratitude towards her new life. Wanting to learn more about yoga asana and philosophy, Veronica completed the Glowing Body Teacher Training in 2016 with the well-renowned Cindy Dollar. With a great passion and fascination of and for the body, yoga has also been another vehicle Veronica uses in her work as a certified Athletic Trainer and manual therapist. In order to further share the profound benefits of yoga with those around her, Veronica is currently pursuing a Medical Therapeutic Yoga certification through the Professional Yoga Therapy Institute. Veronica’s teaching style emphasizes a keen awareness of alignment and breath, while balancing the mind and body through a variety of strength building, balance, flexibility and restorative postures. When Veronica is not doing yoga you can find her in the great outdoors, playing with her 2 pups, cooking, and traveling. Disclaimer: Yoga is not a substitute for medical treatments. None of the suggestions that will be offered are intended to replace any medical recommendations made by your medical providers. Yoga teachers do not diagnose conditions and are not qualified to diagnose conditions. The practices offered are intended to be used as a complement to other modalities, including medical treatment.